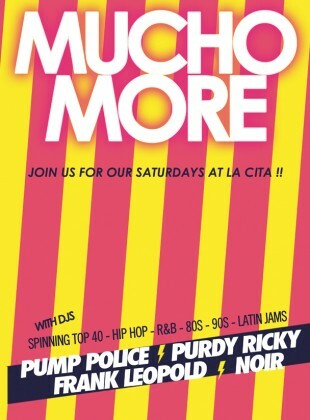 Mucho More Dance Party! 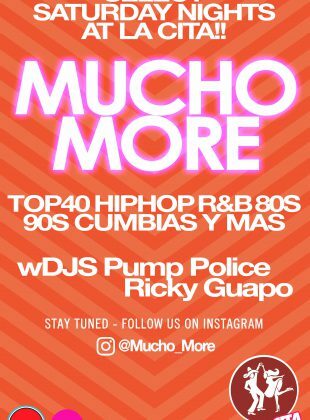 With the Mucho DJs spinning Top 40, Hip Hop, R&B, 80s, 90s and Latin Jams! Mucho More Dance Party! 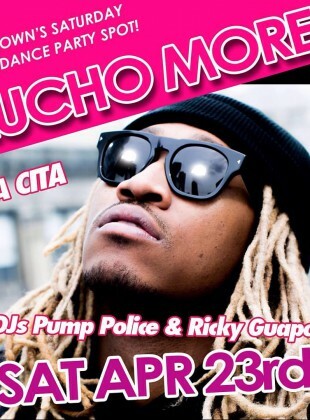 With DJs Pump Police and Ricky Guapo spinning Top 40, Hip Hop, R&B, 80s, 90s and Latin Jams! Mucho More dance party! 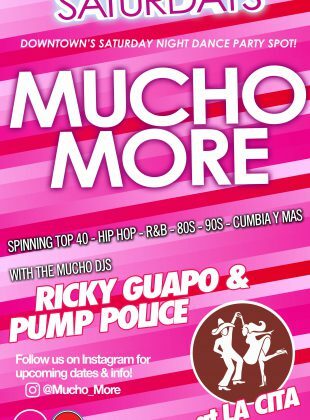 Top 40, Hip Hop, R&B, 80s, 90s and Latin Jams with the Mucho Musica DJs!